Can someone help me with this question ASAP!! 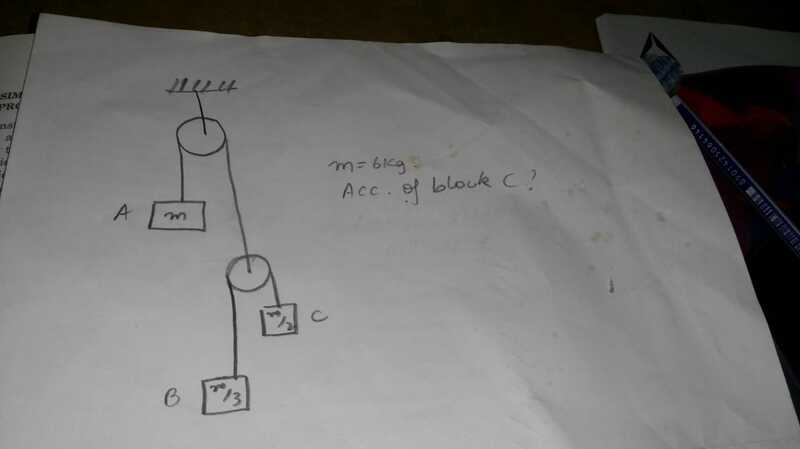 the question is to find the acc of block C. Detailed explanation would help!! tension in string attached to 2kg block is T                             lets assume acceleration of 6,2,3 kg blocks is a1,a2,a3 respectively. therefore we have got 4 equations for 4 variables , solve them and find the answere. I think solving is easy an need not be done here .